THERE is a saying in Hindi: “Poot ke paon paalne mein hi nazar aa jaate hain.” It means you can figure out what your kid will turn out to be right from the time when he is a mere infant. This saying is a fit one for Mahim-based builder Uday Desai, who was arrested in childhood for bank robbery and against whom as many as 18 complaints have been registered in several police stations in Mumbai. These complaints range from those of dishonesty and cheating to molestation. On January 17, 2016 ABI (Akela Bureau of Investigation) published an article under the headline, “CAUGHT ON TAPE: Mahim builder claims he has ‘give and take’ relationship with Mumbai Police Commissioner”. According to reports, on December 7, 2015, a building material supplier, Dharmesh Patel, complained to the Anti-Corruption Bureau (ACB), Mumbai, and also several ministers and police authorities seeking action against Uday Desai and Seraj Khatri. Uday Desai and his partner Seraj Khatri operate a construction business under the banner of M/s Mighty Engineers, Developers and Contractors. Their office is at 163, Dwarkamai Tower, Bhagat Lane, Mahim. Habitual in dishonesty, Desai refused to pay Rs 1.5 crore to Patel after completing the construction work. Since then Patel has been running from pillar to post to get his money back. A Right To Information (RTI) reply revealed that dishonest builder Uday Desai was also arrested in childhood for robbery. As if that were not enough, as many as 18 complaints have been registered against him in several police stations in Mumbai. 1- In 1969 Desai was arrested for robbery in Vijaya Bank. Then he was minor. 2- On January 15, 1990, Desai allegedly molested a woman after forcibly entering her house. Complaints in Mahim police station as well as on February 4, 1990, in Mumbai Police Crime Branch. 3- Allegedly usurped property of neighbor Parmanand Ojha and Himanshu Ojha. Complaint in Mahim police station and also case (No-1926/92) pending in City Civil Court. 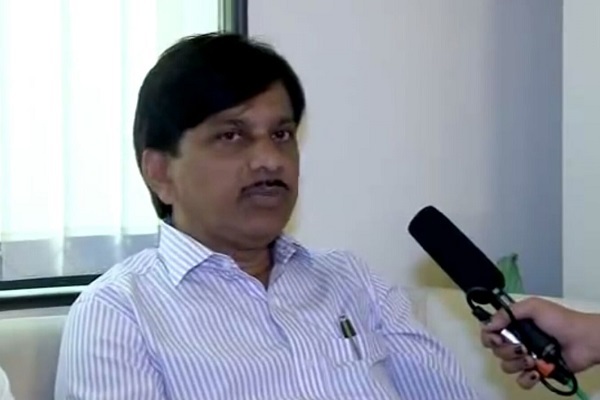 4- In 1994 Desai registered false extortion complaint against Shashi Borkar. NC No-3015 and CR No-680/94. 5- On basis of bogus documents formed a society in empty building. Cheated residents and also government. Case (No-22/01 (3714) and 4/02 (2045)) pending with society registrar court. 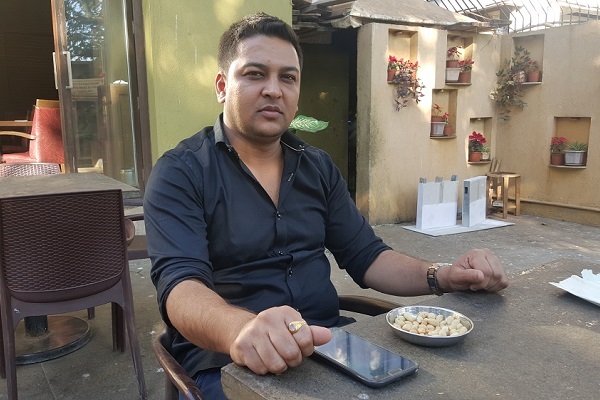 6- Real brother Chandrakant Desai complained (NC No-221/90) in Mahim Police Station and on April 30, 1990 DCP Zone-4 for robbing his biscuit shop. 7- On December 3, 2000 NC (No-166/2000) registered in Dahisar police station for organising illegal morcha. 8- On July 7, 2001, Madhav Nair registered NC (No-34/01) complaint in Shivaji Park police station for threatening to him. 9- Prafulla Narayan Randive and his mother have given several complaint letters against him in police station. 10- On May 17, 2002 Kishor Kapdoskar registered complaint in Mahim police station for thrashing him. Case pending in court. 11- A resident of building No-2 Suresh Kadam and his wife given several complaints in writing in Mahim police station for thrashing them. 12- In 1994, illegally selling flat allotted in Chief Minister quota in Dahisar. Also producing false affidavit letter. 13- Threatened shop owner Pratap Bhatia and constructed two illegal shops in Bhatwadi, Ghatkopar. Bhatia complained in police station. 14- Removed name plate and pasted another name in Pankaj apartment. On July 20, 2001, residents complained (No-172/01) against Desai in Mahim police station. 15- On September 18, 2001, and January 2, 2002, Senior Inspector of Mahim police station issued two warning notices (under section 149 of CrPC) to him. 16- Desai constructed an illegal shop in entrance of Vadi and also patra shed. 17- On April 20, 2005, FIR registered in Mahim police station under sections 143, 147, 149, 341, 454, 457, 380, 323, 504, 506, 201 of IPC and Pune Flying Squad arrested him in the matter. On July 23, 2005 Dadar-based Life Long Finance and Investment Company Private Limited registered FIR (CR No-278/05) in Mahim police station. Case pending in Bhoiwada court. 18- On September 15, 2005, residents of 102-A Jariwala registered NC (NO-2516/05) in Mahim police station against Desai. “This is true; I was arrested when I was a minor. But other complaints are false and baseless,” said Uday Desai.